It’s independence today. Just last week, someone made a comment, and said “I believe in, and I am very proud of Nigeria”. I recall thinking and saying to myself “No way! 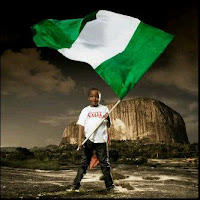 I believe in Nigeria still, but I am NOT proud of Nigeria at this point in time”. I believe a number of people will agree with me, for obvious reasons. Our country is in a state. The last couple of months have been particularly tough for us, almost on all fronts, especially as it pertains to the economy. Our currency is receiving daily bashing in the Forex market. Many companies are shutting down and leaving the country. People are losing their jobs in large numbers. Prices are sky rocketing in the market place. Majority of people are groaning. I know we are in a difficult place as a nation, and I am not proud of that. I listened to one of my mentors (Robert Morris) speak a few weeks back, and I believe the thoughts he shared are very relevant to our nation (and indeed most nations of the world) at this time. As Nigeria celebrates her 56th independence anniversary, permit me to share those thoughts. 1. God is still in Control – He is sovereign. He knows what is happening to us as a nation, and he hasn’t lost control of Nigeria. He knows the end from the beginning. Nothing that has happened has caught him by surprise. Nothing that will happen will. Believe me honestly, things will be much worse if he wasn’t in control. 2. Jesus is still the answer – This is very important to note. Our political system has failed us, and will probably continue to. We turned to a political class in the last election, and we all know what is happening. The answer is not in politics (in as much as there is a part we have to play). The answer is not in Oil and oil prices. The answer is beyond science and technology. It is in Jesus Christ. 3. We still need to do our part- This is perhaps the most important point I want to make. The reason is because this is the part where we need to take responsibility. Nigeria is where we are today, not just because of our leaders, but because of the followers also. Are you doing your own bit? I understand the excuse you’d put up. I understand that you feel frustrated because the system doesn’t seem to support doing the right things. But, to change our country, we need to continue to do what is right. We need to embrace “Change starts with you” because it truly does. We need to continue to vote for the people who we believe will provide us with the right leadership. We need to continue to obey traffic laws, even if it seems we are the only one doing it. We need to do things right, and do the right things. We still have a part to play, and it’s a pretty big part. May Nigeria be great again, in our lifetime!